We proudly provide the sources and facts behind our claims. "Used by more of the largest fairs in the nation than any other fair software." ShoWorks is used by more than 75% of the top 50 largest fairs in the North America - published by www.carnivalwarehouse.com. More proudly from this list, ShoWorks is used in 8 of the top 10 largest fairs in the world. Among the top 20 fairs listed since 2009, the average growth of fairs using ShoWorks is more than twice higher than a fair not using ShoWorks. Last year alone, ShoWorks processed over 4.5 million entries and over $2 billion in livestock and auction sales. Please call us out on this and let us provide more details and sources. We believe that numbers mean nothing unless they are backed up by a documented source. "The largest and oldest provider of online entries." ShoWorks first opened online entries natively (not through a third party, but actually from within the company) in 1998 and has served over 2,000 fairs (additional fairs use ShoWorks but without online entries), processing over $7 million in entries annually. At peak loads, ShoWorks processes 7,000+ online entries per hour. 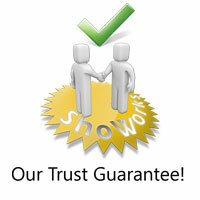 A complete list of all fairs using ShoWorks for online entries is located here. "A 97% satisfaction rate by over 200,000 exhibitors surveyed." Beginning in June 2008, we began running surveys at the end of the online entry checkout of all fairs, asking exhibitors themselves how satisfied they were with the ease of ShoWorks. Ranking responses from great, good, okay, to dissatisfied. Over 200,000 exhibitors have responded with less than a 3.0% dissatisifed, and "great" being the most popular response. A live status of these results that is continually updated can be found here .